This recommendation is a section of a Hollywood Treatment for a feature film. 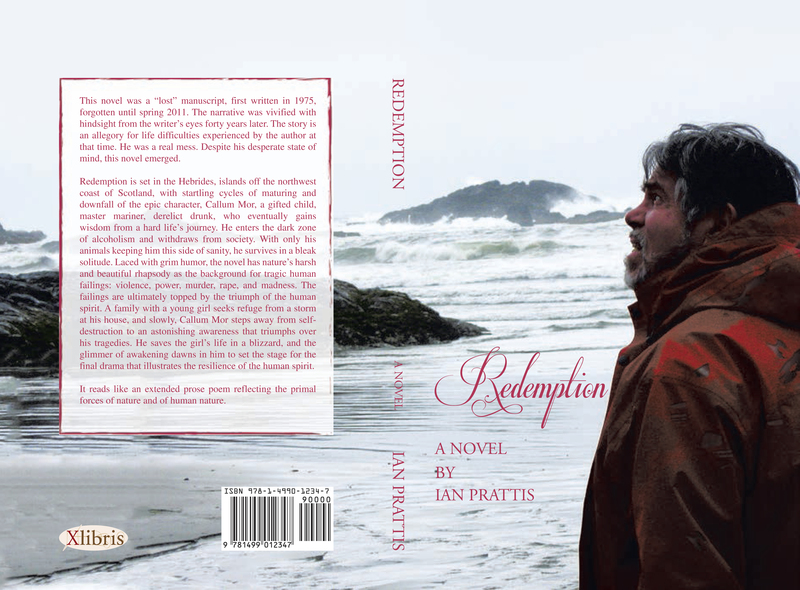 REDEMPTION is a lyrical and moving tale of struggle, love, loss, transformation and hope. Its starkly gorgeous and remote island setting creates and reinforces the central themes of struggle, family, community and wonder at the beauty of the world, and its rich cast of characters offers numerous gripping interludes that brim with complex interpersonal drama. The book is short, but there is more than enough material here for a satisfying full-length film adaptation. If handled with the same care and grace as the novel, a film could be highly successful. The novel’s period and setting deftly capture a rural way of life that is rapidly vanishing from the western world; one ever present theme is that of economic hardship and encroaching industrialization versus the wild, natural beauty of the islands. If budget restrictions are required, a contemporary version of the story would not require major changes so long as those elements are carefully preserved. However, an adaptation would be best served by maintaining the mid-century trappings, which lend authenticity and the nostalgic mystique of a childhood forever lost. The story centers on and is always connected to Callum Mor, but he is surrounded and influenced by a fantastic cast of family and fellow islanders. They provide a deep well of material; their conflicts and intrigues move the plot forward and offer a vast array of powerfully emotional individual moments. The story arcs of Andrew, Annie, Moira, Donald, Miss MacDougall, Brett and Catriona offer particularly beautiful and interesting counterpoints to one another and to Callum Mor. The characters’ hopes, desires and difficulties intermingle in a sad and realistic tapestry of human existence. The narrative’s tone is generally quiet and introspective in the vein of Jarmusch’s BROKEN FLOWERS, but it is frequently punctuated by storms both literal and metaphorical. These interludes are capable of taking a potential adaptation to the heights of such grand romantic drama as THE ENGLISH PATIENT. Callum Mor and his people face many conflicts throughout the story, from poverty, mental illness, unwanted pregnancy, and battles with nature itself, to sexual assault and violent physical confrontation. A potential adaptation would have no difficulty keeping any prospective audience’s rapt attention on the action at hand, even as the deeper, more subtle messages of compassion and faith carefully unfold. Only the ending, if anything, could benefit from slightly less ambiguity; although the final scene of the villagers erasing their shame by building a home for the Hagens, compelled by Callum Mor’s peaceful faith, is an effective and striking image. Overall, REDEMPTION would be well-suited to adaptation as a feature film. A film should retain the novel’s relatively complex web of conflicts, personalities and emotional undercurrents. If the book’s strengths are preserved, an adaptation has the potential to be a successful, intimate and intensely moving tale of human tragedy and triumph.